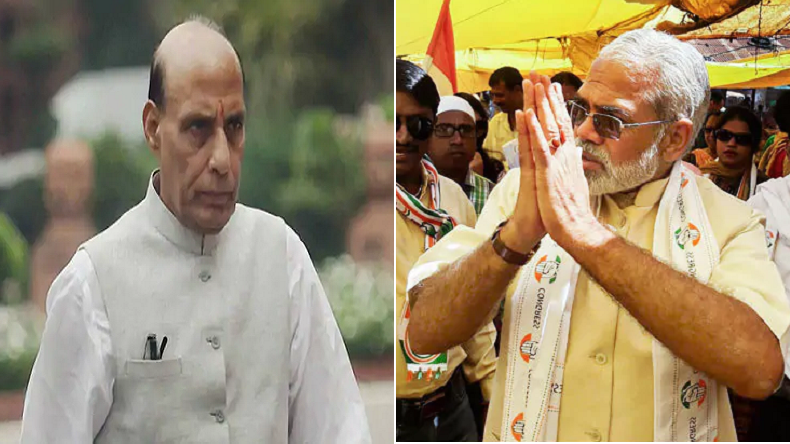 Rajnath Singh files nomination papers from Lucknow seat: In the past two decades, neither the Samajwadi Party nor the Bahujan Samaj Party has registered victory from Lucknow seat while the ruling BJP which has held the Lucknow seat since 1991. This combination photo shows Union Minister Rajnath Singh (left) and Independent candidate Abhinandan Pathak. 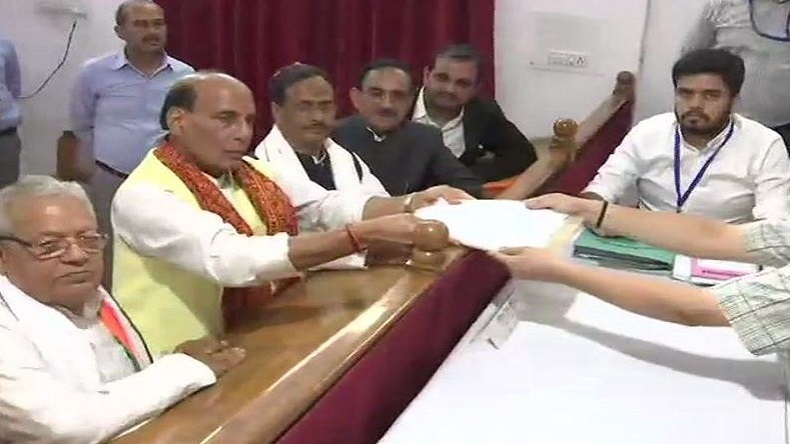 Rajnath Singh files nomination papers from Lucknow seat: Senior Bharatiya Janata Party (BJP) leader and Union Home Minister Rajnath Singh filed his nomination papers from Uttar Pradesh’s Lucknow Parliamentary constituency on Tuesday. Before filing his nomination papers, Rajnath held a brief roadshow from the party head office to the collectorate in Lucknow. Key BJP leaders including Uttar Pradesh Chief Minister Yogi Adityanath, Keshav Maurya, Dinesh Sharma, Kalraj Mishra and Ramesh Pokhriyal and several party workers joined him during the roadshow. During the road show, the Union minister paid his tributes at the statues of Mahatma Gandhi and Baba Saheb Dr Bhimrao Ambedkar near the Hazratganj Chauraha. The Opposition has not fielded any candidate against Singh. The Opposition may announce a candidate in the next 24 hours, reports said. Prime Minister Narendra Modi’s look-alike Abhinandan Pathak is also contesting the Lok Sabha elections from the Lucknow constituency as an Independent candidate. Modi’s doppelganger Abhinandan Pathak, who is a resident Saharanpur, had joined the Congress in 2018. The last date to file nominations is April 18, 2019. 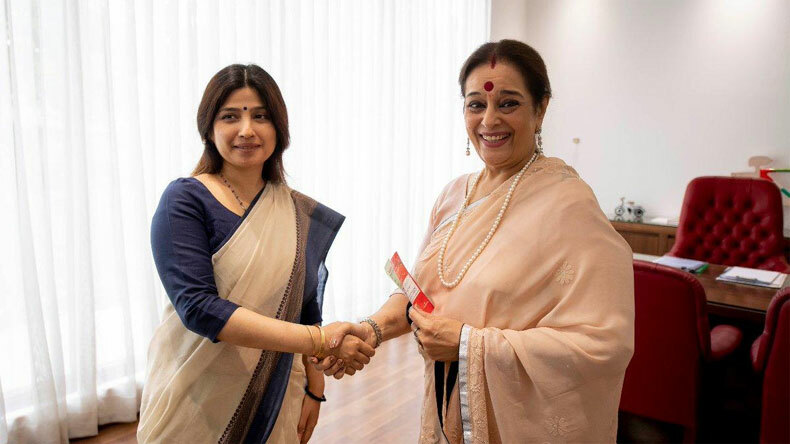 Lucknow: Shatrughan Sinha’s wife Poonam Sinha joins Samajwadi Party in presence of Dimple Yadav. In 2014, Rajnath Singh shifted from Ghaziabad to Lucknow. He had defeated Congress candidate Prof Rita Bahuguna Joshi by 5,61,106 votes. In 2009, Rajnath Singh had also contested from the Ghaziabad seat. Apart from Samajwadi Party’s Abhishek Mishra, Bahujan Samaj Party’s Nakul Dubey, and Aam Aadmi Party’s Javed Jaffrey contested polls from Lucknow in the 2014 Lok Sabha elections. In the past two decades, neither the Samajwadi Party nor the Bahujan Samaj Party has registered victory from Lucknow seat. The ruling BJP which has held the Lucknow seat since 1991. Former prime minister Atal Bihari Bajpai had been elected five times from Lucknow parliamentary seat from 1991 to 2004 and after his retirement, Lalji Tandan carried the legacy in 2009. Lucknow will go to polls in the fifth phase of the elections on May 6.